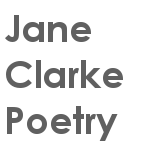 Jane Clarke’s voice is rooted in her land and the lives she shares: these poems gleam with the sound of their saying. Her rhythms of speech and spaces of reflective thought weave patterns which are fresh, but which we recognise as places in which we too may find ourselves. - Tony Curtis, Poet and Emeritus Professor of Poetry, University of South Wales. In this episode of the Words Lightly Spoken podcast Jane introduces and reads a poem from her forthcoming collection with Bloodaxe Books, When the Tree Falls. Jane reads three poems from The River on SoundCloud.